Imagine this: it’s a misty Iowa morning, and a small group of stick-and-basket-wielding mushroom enthusiasts has gathered near a stand of trees. The club members—some carrying small hand shovels, some carrying camera equipment, and all wearing hiking boots—spread out in the forest, only reconvening when someone whistles or calls to the others to observe a particularly interesting find. At the end of the morning, the members gather around a picnic table to identify and catalog their finds, as well as to share anecdotes regarding how a particular taxon might be found, identified, or prepared for consumption. The foray ends with lunch, and members return home with the spoils of their outing. Formed in 1983, the Prairie States Mushroom Club (PSMC) is Iowa’s foremost amateur mycological society. The organization “promotes scientific and educational activities related to fungi and fosters the appreciation of wild and cultivated mushrooms”, as well as the “practical and scientific study of fungi and the gathering, dissemination and perpetuation of facts and knowledge on that subject.” The group shares their findings with other organizations—namely the North American Mycological Association (NAMA)—and professional mycologists. While the group boasts a membership from diverse backgrounds (scientists, students, naturalists, and photographers to name a few), it was originally founded by former NAMA president Dr. Don Huffman and Dr. Lois Tiffany to help gather data on populations of morels (Morchella spp.) in the region. Since the conclusion of this study, however, the group’s interests have expanded beyond far beyond morels. Now, PSMC conducts forays around Iowa, encouraging seasoned and inexperienced mycophiles alike to explore the diversity of fungi for food and pleasure. Of course, PSMC does more than just conduct forays. 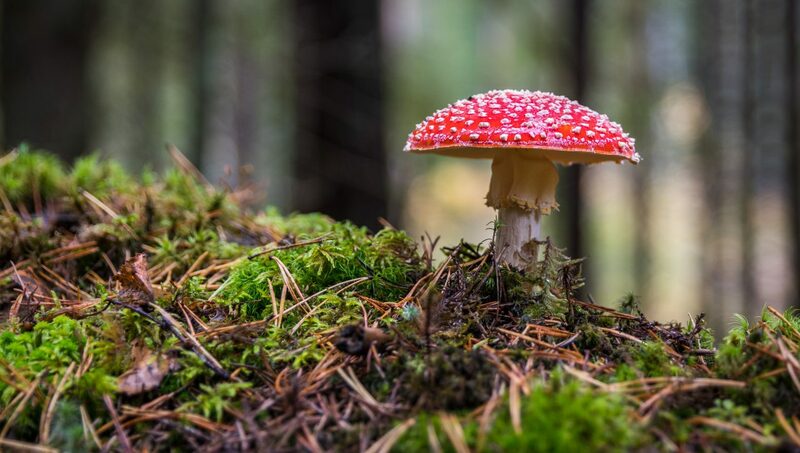 The group also recruits speakers to lecture on interesting topics related to fungal biology, circulates an annual calendar of photos taken by members, and even produces its own newsletter. This newsletter often contains editorial pieces written by members, which often relate more intimate experiences with fungi, such as club president Glen Schwartz’s article “The Magic Stump” in which he relates his first experiences with mushrooms, his introduction to the PSMC, and a tree stump that supported remarkable diversity of fungi. For those interested in membership or correspondence, the club can be contacted by e-mailing iowamushroom@gmail.com, or by visiting their website at www.iowamushroom.org. Formed in 2012, the University of Minnesota Mycology Club is a platform for learning, teaching and celebrating fungal biology. Their aim is to unify the diversity of fungal knowledge around the campus and community through educational lectures, hands-on workshops, outreach and forays. It is a graduate student-organized university club whose members include undergraduate and graduate students, postdoctoral researchers, faculty, USDA scientists, local mushroom producers, and other interested mycophiles in the Twin Cities metropolitan area. During the warmer months, they grow and sell several kinds of mushrooms (shitakes, oysters, wine caps, lion’s mane) at the local university farmer’s stand. The proceeds from the fungal garden end up funding most of the club’s activities. The club also organizes mushroom forays at nearby state parks that bring in a diverse crowd of attendees who range from ‘expert’ to ‘not sure what a mushroom is’. During the school year, the club organizes a number of on-campus events geared towards bringing mycologists together and educating the broader community. They also host a weekly myco journal club that is typically attended by graduate students, postdocs, and faculty, and has been a great way to regularly bring together mycologists in different departments and get to know one another. The club brings in researchers to give seminar talks on campus and puts together several workshops, on topics such as log inoculations and cheese-making. And of course, it hosts happy hours and mixers that bring the myco community together. The UMN Mycology Club does outreach in the Twin Cities areas. The club and its members have organized events at locations such as the Bell Museum of Natural History and at local farmer’s markets. Which are great opportunities for them to bring out their own specimens and engage the public in what they do! The club also has a set of nifty Fungal Flashcards that help people learn common fungi found in Minnesota. For more information about this club check them out on facebook (University of Minnesota Mycology Club), twitter (@UMNMycology), or their website (mycology.cfans.umn.edu/about-us/).